Home » Multi-channel Integration Platform » Dropshipping Shop 360º » Alerts and notifications » How to configure the blocking access to minors module through popup? We provide the shop with full catalogue with the module installed but not activated; below, we will explain how to configure it. In the rest of the themed shops we don’t provide the module, but if you want to, you can request it by sending a ticket to our Support team. To configure the module, on the control panel of your PrestaShop, go to Modules > Modules & Services > Installed Modules and, within the section, look for the module bbcustompopup. Click on Configure. Enable popup: You should click YES to activate the blocking popup in the shop. Cookie length: This option indicates the time it will take for the popup to appear again after the user has accepted the conditions of it. If it is set to 0, the popup will appear each time the page is viewed. However, the recommended value is 100,000. Popup content: is the text which appears in the popup when confirmation of age is requested. It can be modified in each language. 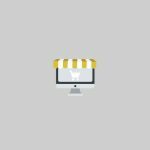 In this article we’ll fully explain how to edit the banners that appear alongside the slider on the homepage of your online ecommerce store. If you have forgotten your password, you can reset it easily in the following way.